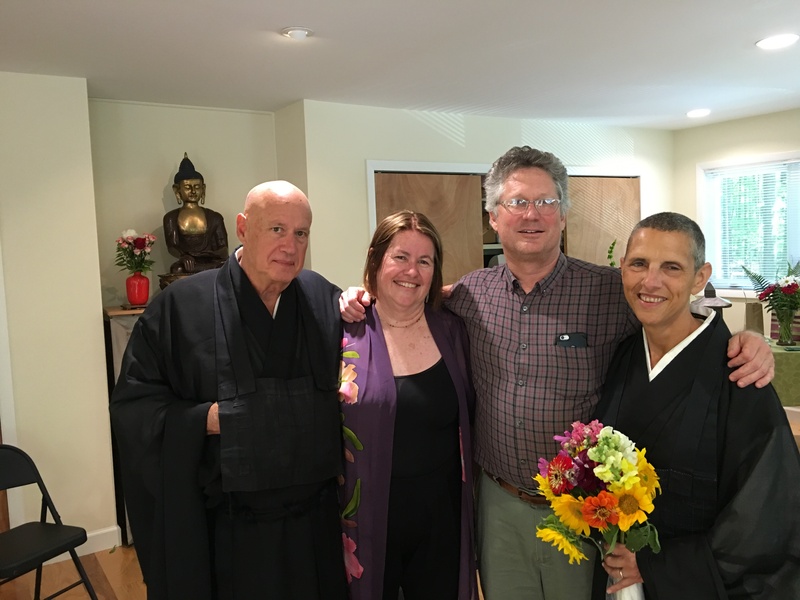 Our first 90 day practice period, or Kessei Ango, began with a shuso entering ceremony for this Ango’s ‘head monk’, Zenki Kathleen Batson. We were honored by the presence of Rev. 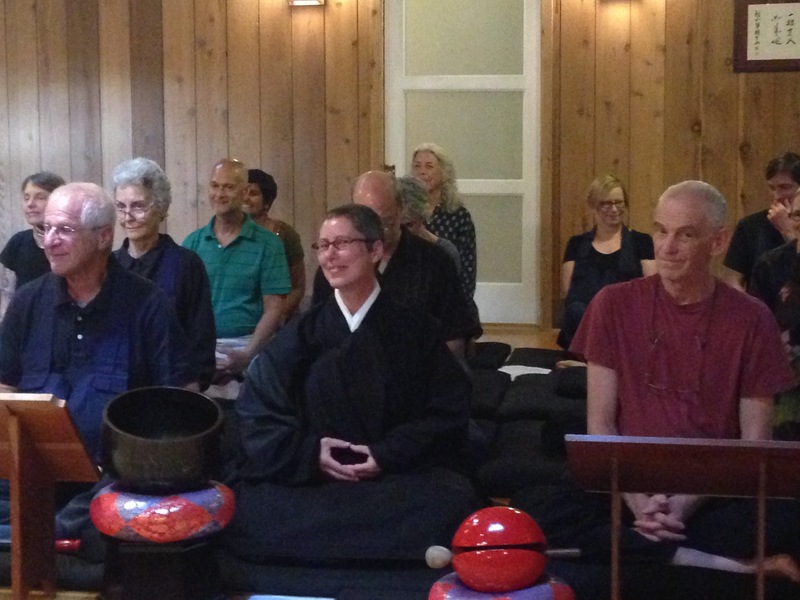 Chimyo Atkinson from Great Tree temple near Asheville, NC, for the occasion. 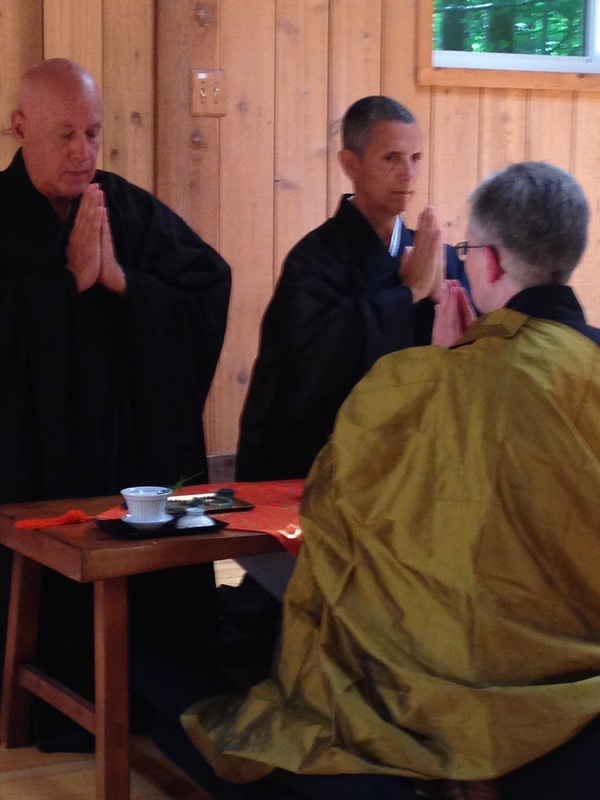 This is the fourth practice period at Red Cedar Mountain with a Shuso, but the first of this length, made possible by our becoming registered in Japan as an overseas special temple of Soto Zen. 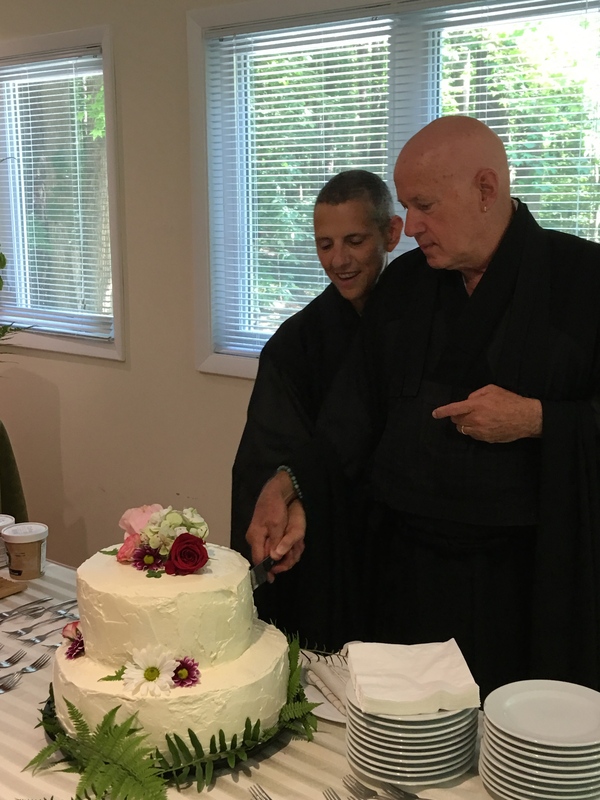 The final “shuso ceremony” (Hossenshiki) will be attended by a number of visiting priests including the ranking representative of Soto Zen in the United States, Genko Akiba Roshi, in June. 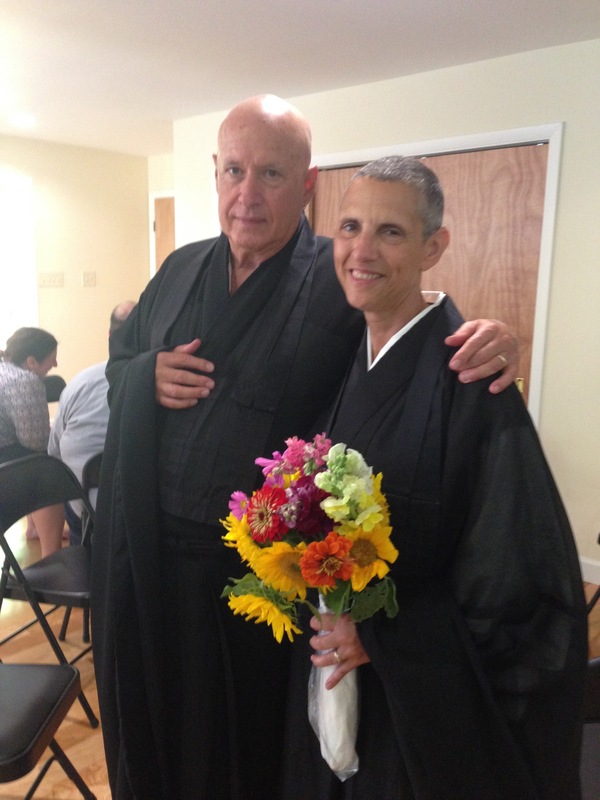 Congratulations, Zenki! The officers invite the Shuso. 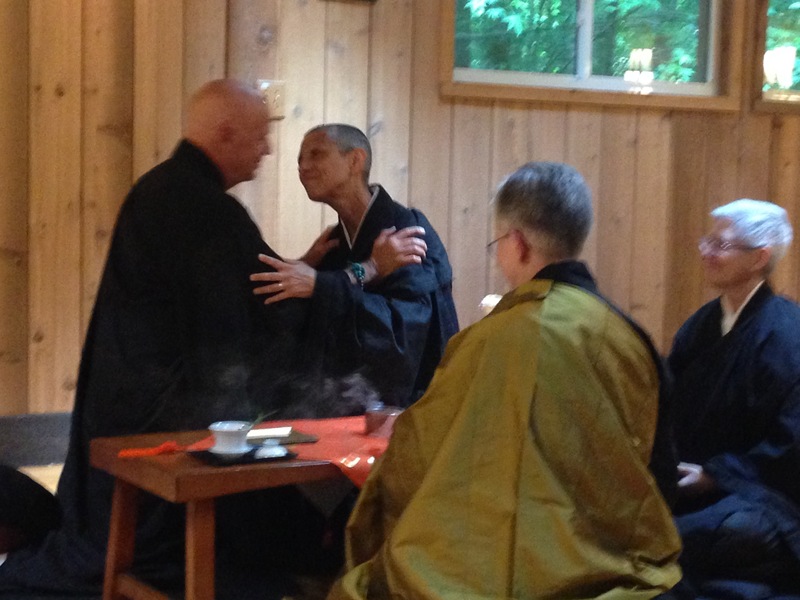 Abbess and Shuso bow to each other. 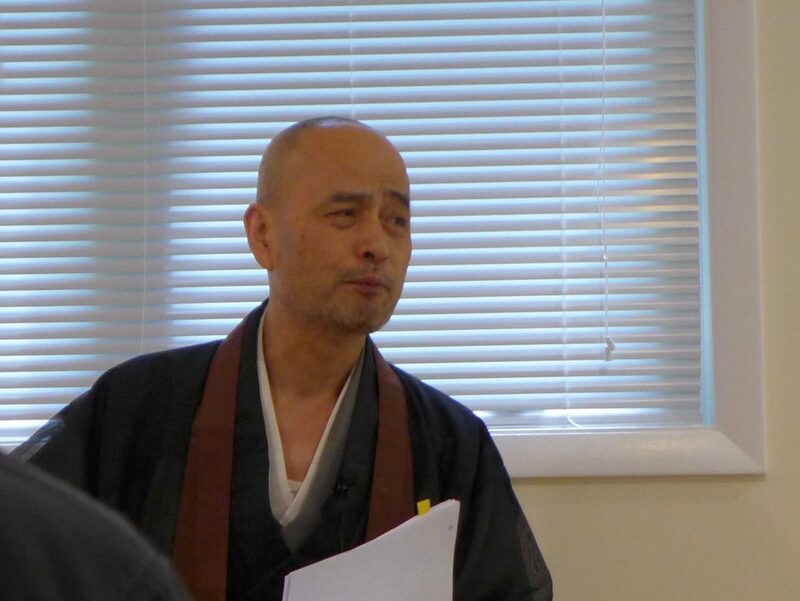 We were again fortunate to have Okumura Roshi with us to teach Genzo-e sesshin retreat on Dogen’s teaching, March 1-6 this year. This time it was Shobogenzo Menju, or “Face to Face Transmission”. 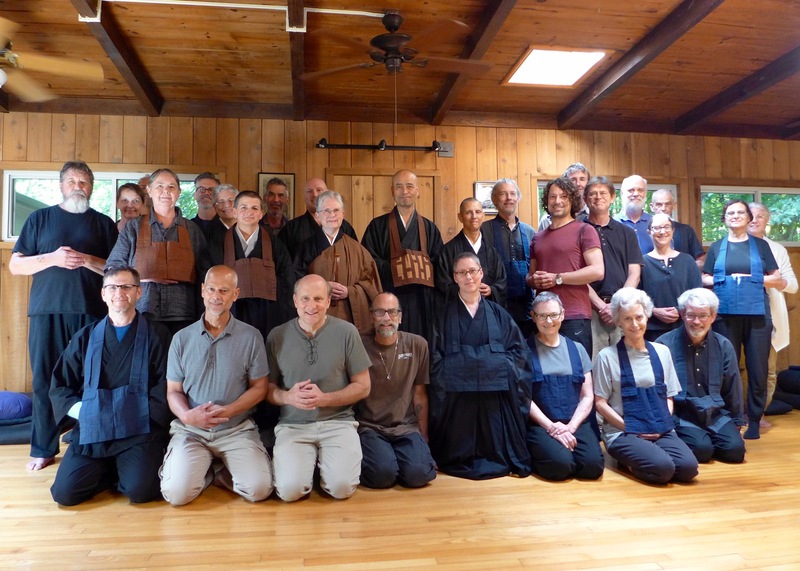 Thirty-five participants from around the country and abroad spent five days together, the largest retreat we have ever had. Teaching – twice a day. There has been incremental progress on our garden renovation project during the fall and winter. The large koi that have been with us for over 15 years were moved to a holding pond while the old pond was demolished and a new one took shape. Great care was taken to make sure that the temporary pond had the same biology as the one they had lived in all their lives. Fortunately they made the transition and have come through the winter in fine shape. Gradually the old concrete pathways and flagstones were demolished and removed and the new stream and pond took shape. Finally, in the past 10 days, the new pump was activated and you can hear and see the result! We will be re-introducing the fish to their new and improved home – the new pond is deeper and more natural, with rocks and pebbles in the bottom and sides. New plants will follow soon, and a stone bridge over the stream to access the new central steps to our entryway. 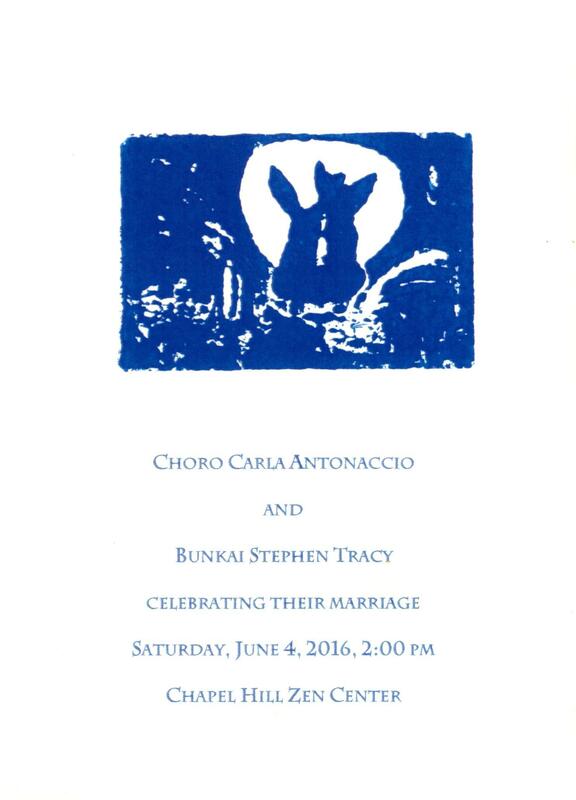 Donations toward the remaining costs for this project are needed and gratefully accepted…. 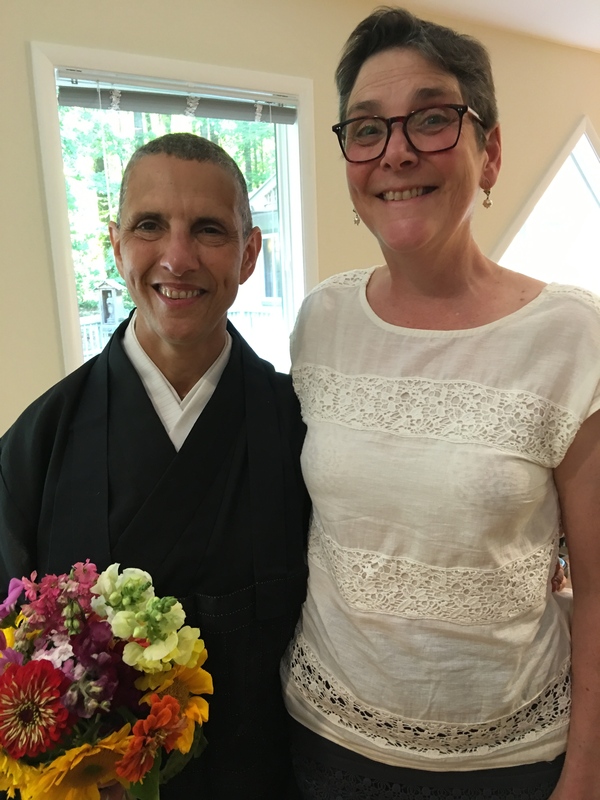 On Saturday, June 4, Choro Carla Antonaccio and Bunkai Stephen Tracy celebrated their marriage in a Zen ceremony of vows and precepts, attended by many sangha members and friends. Great joy, greatly supported. Wondrous cake by sangha member Andrea Ashdown. Choro and childhood best friend Melissa Bessey. 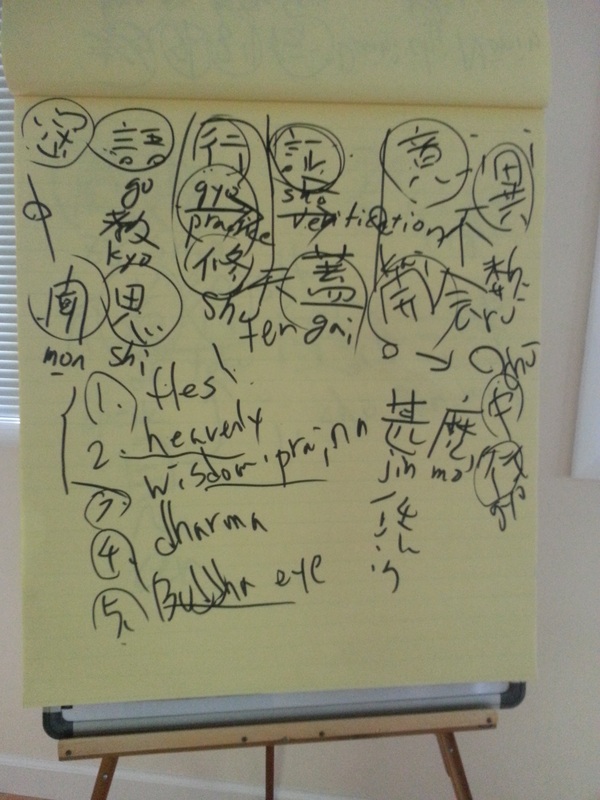 One of many pages of characters and terms…. Much progress in recent days, despite quite a bit of heat, humidity, and sometimes ferocious rain. The new steps are in and the old ones demolished. Cable railings and ipe wood rails are nearly done. Today a temporary pond for the two large koi that have been in our pond for nearly 17 years was put in place. Once the biology is right, they will be transferred for the duration of the garden renovation – probably a period of months. Meanwhile, the current pond is at its seasonal best. We will transfer more of the plants to the new pond shortly. The garden work should begin in earnest any day, too. Please consider donating to support the renovation! thank you for your generosity. The July 4 holiday and recent rainy weather have not assisted the progress of the ramp and steps project, but a sense of the renovation is still possible from the images.